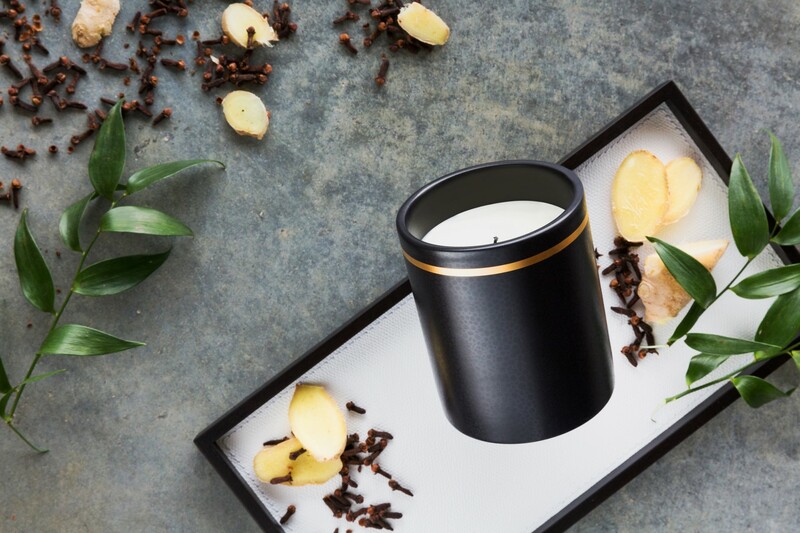 Each encased in a round ceramic vessel with a lid, the scented candles in the A by Amara home fragrance collection beautifully complement each other however every scent has its own distinctive personality. 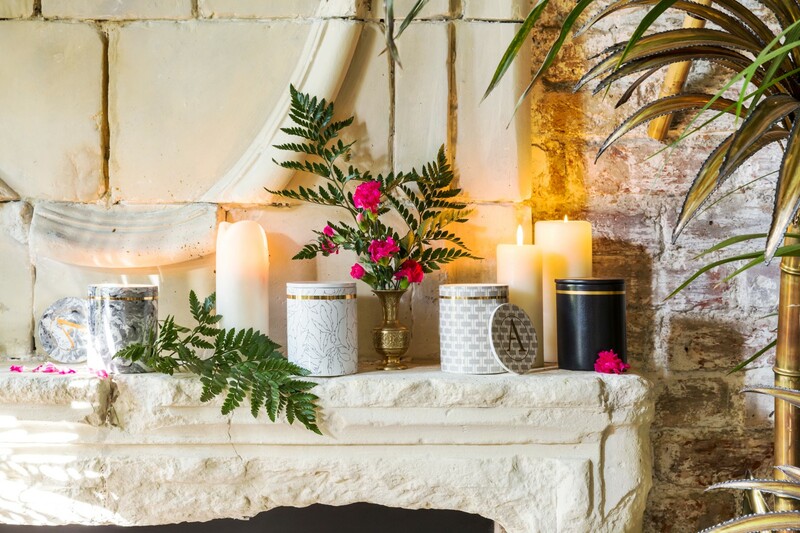 Made in Portugal, the vessels are filled with 100% mineral wax and boast an exceedingly high 10% perfume content to ensure they will fill any space with decadent scent when lit. The fragrances are each unique and offer scents to suit many different noses, from rich and woody to light and floral and each vessel has been carefully designed in-house to mirror the subtle nuances of each candle. 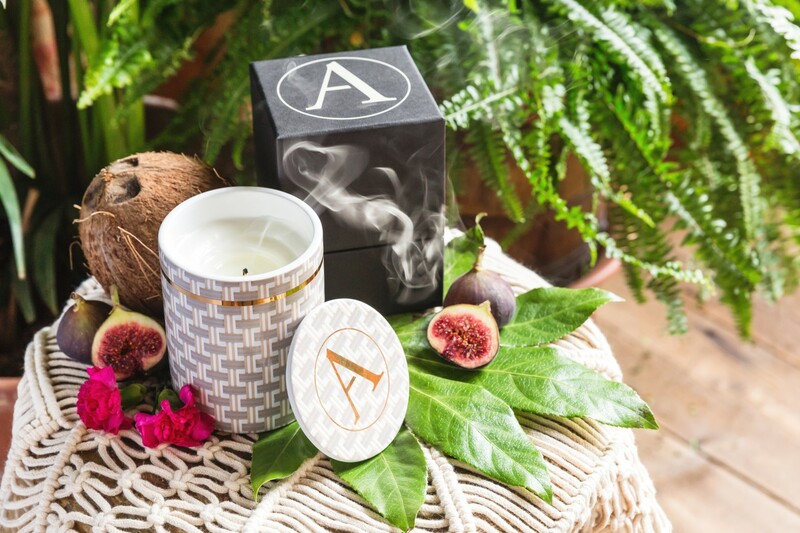 The richest of the four scents in the A by Amara home fragrance collection, the Cedarwood & Musk candle has a heady heart of frankincense wrapped in musk, clove and ginger. The cedarwood base provides a hint of freshness and makes this candle a refined choice for any home. A truly urban scent, it recalls the glow over a city skyline at sunset and it is encased in a sleek black vessel. The subtle print across the surface is reminiscent of a luxurious shagreen with the A by Amara logo in contrasting gold for an opulent touch. 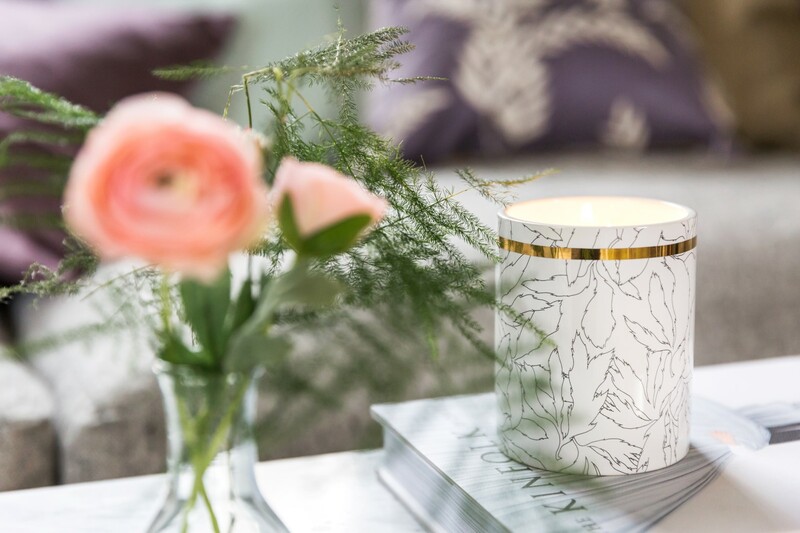 The woven rattan inspired print of the Fig Leaf candle gives a hint at the nature of this scent. Lusciously tropical in feel, it evokes a soft breeze gently drifting through sun soaked glasshouses with the light streaming onto green fronds. Offering woody amber base notes, the Fig Leaf candle as its name suggests is infused with refreshing fig and green leaves which together creates a revitalising scent to uplift any environment. A sparkling aroma and the fruitiest of the A by Amara home fragrance range, the Sicilian Lemon & Sea Salt candle is reminiscent of a Mediterranean coastal retreat. The scent recalls strolls through sunny seaside towns filled with fresh markets to explore and zesty citrus fruit to taste, mingled with the salty tang of the sea air. The blonde wood base adds a sophisticated quality to scent and grounds the other two contrasting notes. 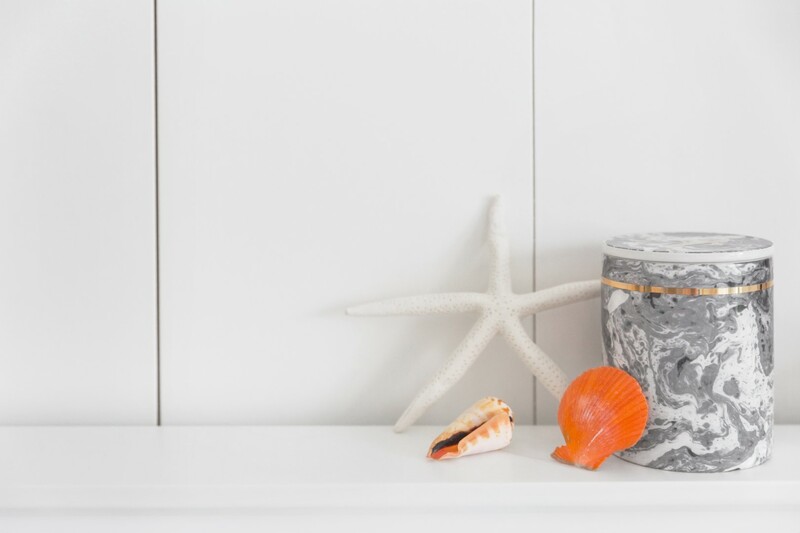 The ceramic holder is a swirl of white and grey marble found across the most luxurious of coastal destinations. A heavenly floral fragrance, the Jasmine & Ylang Ylang scented candle is reminiscent of the hazy aromas found in the world’s botanical gardens. A cedarwood base is blended with green foliage topped with heady ylang yland and sweet jasmine. The most floral of the four scents, it is a fabulous choice for those that look for a sweet yet grown-up fragrance in their home. In a fresh white vessel, it is decorated with a subtle botanical plant print with the signature A by Amara logo again in shimmering gold.